Taxis with a taximeter are permanently available in front of the arrivals hall. The fare from the airport to the city centre of Brussels is normally around €45 depending on traffic. 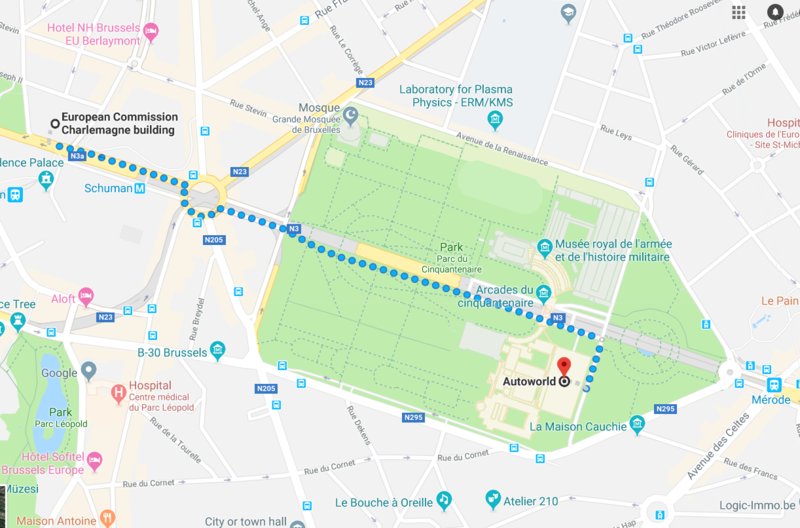 Please take either metro line n.2 direction Simonis (Elisabeth) or n. 6 direction Simonis (Elisabeth) and get off at the stop Arts-Lois/Kunst-Wet. Then take either metro line n.1, direction Stockel or line n.5 direction Hermann-Debroux and get off at the stop Schuman. Taxis are available in front of the station and the approximate cost to get to the Charlemagne building is around €10-15, depending on the traffic.